This year, our in-school Book Fair begins on November 10th, but you can begin your book shopping on November 1st, at the Online Book Fair. 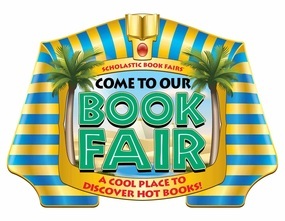 Visit the Book Fair Homepage at http://bookfairs.scholastic.com/homepage/merion and click on the Shop Now button. Online shopping is available until November 21st. You can create wish lists and invite friends and family to shop with eCards. Best of all, purchases benefit our school and will help us achieve our Book Fair goal. All online orders ship for FREE to the school, after the Online Fair has ended. Don’t forget to look for your teacher’s online Wish List and add a book or two to your order for their classroom library. Click on the Classroom Wish List tab to see if your teacher is participating. So get a jump on your Book Fair shopping and thanks for supporting our school! Visit Merion Elementary's Scholastic Book Fair page for details about Book Fair hours, preview book selections and to shop the Book Fair online (10/26-11/15). Download Scholastics new Book Fairs App for online shopping on certain smartphones. Checkout the classroom visit schedule on the linked October 24, 2013 flyer. The Book Fair is a great way to get everyone excited about reading. And you can volunteer to help. You can decorate and set up, help kids select books, or help pack up. To help, go to the volunteer sign-up sheet. Want to sign-up when your child is visiting the Fair? The classroom visit schedule is listed right on the sign-up sheet to help with selecting a time. Wimpy Kid Fans: The pre-order period is over. Diary of a Wimpy Kid: Hard Luck, will be shipped directly to Merion Elementary beginning Nov. 5th. Pick up pre-ordered books at the cash register table on Wed. Nov. 6th or Thurs. Nov. 7th. Thank you! 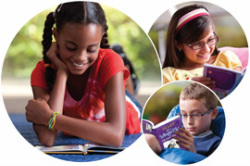 Visit our Scholastic Book Fair homepage for fair hours, and shop the online book fair!